Top 10 payment gateways you should choose for your E-Commerce store for US? Home » Blog » eCommerce » Top 10 payment gateways you should choose for your E-Commerce store for US? No matter how great your e-commerce store may look and function, achieving success in your online endeavor majorly depends on how well your products are being sold to your customers. And to sell products, you’ll first have to win the trust of your site visitors. A payment gateway is a powerful tool that helps to reassure visitors of your store about your trustworthiness. In essence, a payment gateway is an e-commerce service that allows merchants to accept credit card and other forms of Internet transactions securely via your website. Remember, if the payment options on your e-store aren’t set up in the right manner, you could suffer loss of orders placed on your store. This means you’ll experience a significant drop in sales, because of unsatisfied customers. Implementing the right payment gateways, however, can prove a key ensuring long-term success of your online business. Check out the transition fees associated with a payment gateway. Make sure that it falls withing your budget. Evaluate whether the payment gateway require you to go through a sign-up process. If yes, then it’s better to avoid such payment gateways. Look out for payment gateway comes with multi-currency support, especially when you want to expand your online business globally. In order to know what products (digital or physical) you can sell, check out the terms and conditions of the payment gateways. That’s because, some may only allow selling physical goods. Make sure that the payment gateway does not require your users to fill up unnecessary fields and so on. To help you out, I’ve compiled a list of 10 of the best payment gateways among which you can choose one that best suits your needs. Founded in 1996, Authorize.Net has come a long way to being known as one of the most sought-after payment gateways. More than 400,000 merchants worldwide use Authorize.Net payment gateway – that accepts online payments through credit cards and electronic checks. You need to pay $49 as setup fees and $29 as montly gateway fees. Experts say that Authorize.Net is a good match for Magento stores and shopping carts such as osCommerce. Though, PayPal was incepted in December 1998, but it was developed and launched in 1999. It’s one of the most widely-used payment gateways that accepts both credit card or debit card payments. It’s free to use for buyers. However store owners will have to pay a simple transition fees of “3.4% + $0.30 USD”, when using PayPal for credit card payments. The best part is that you only need to pay after making a sale. This payment gateway does not require any setup fees, gateway fees, or monthly fees. 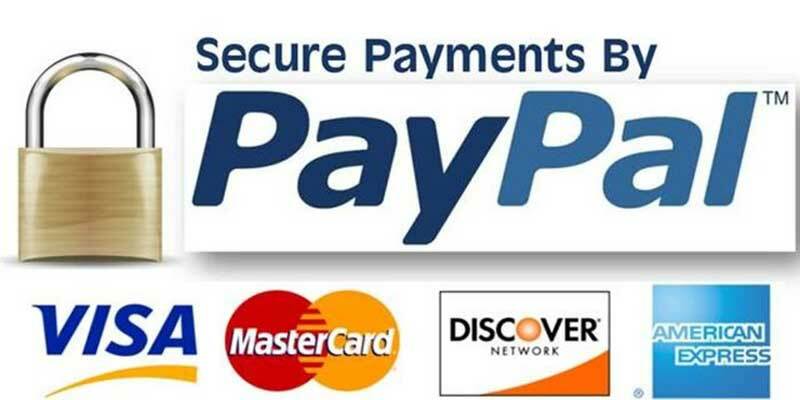 Around 341,497 Internet sites use PayPal payment gateway. This payment gateway began operating in August 1997. SecurePay.com offers online shopping cart, electronic check services (called as SecurePay), accepts mobile payments, and so on. In order to process credit card payments, you will first have to sign up as a user on SecurePay.com. It charges “.25%-1%” plus “$0.25” per transaction. You will also have to pay $400 for terminating your services, prior to the expiration of the service agreement with SecurePay.com payment gateway. 2Checkout.com has been in business for 15 years, and was founded in 1999. It offer services in 196 countries and accept payments in the form of: credit cards, PayPal, and debit cards. It has a low-cost fee structure and requires you to pay only “2.9% + 30¢” per successful transaction. And, the best part! It doesn’t require you to pay any monthly and setup fees. This is one of the most oldest payment gateways having 30 years of payments industry experience globally. It was initially incepted in 1969, but started providing its transaction processing services in 1998 in US and markets worldwide. It includes credit card, debit card, gift card, and many other prepaid card offerings. First Data Corporation is used by around 6 million merchant locations around the world. However, this payment gateway has a pretty transition fees. So, if you’re ready to invest, then First Data Corporation is worth a try – considering the high-quality services it provides. Although, BluePay Processing is a new payment gateway and started operating in 2002, but within a short span of time has earned good reputation among merchants. BluePay accepts payments via credit card and e-checks. It claims to provide highest level of data security in the payment gateway industry, and charges $15 monthly service fees. Accepting all major credit cards and e-checks payments on your iPhone or iPad, PaySimple can rightly be called the new-age payment gateway. It’s basic plan starts from $34.95/mo. According to experts, PaySimple is a great payment gateway for small-and mid-size online stores. If you’re a start-up firm and have a tight budget, then Fastcharge.com is the perfect payment gateway for you. It doesn’t require any setup fee, and only requires you to pay a nominal fee of $10 as monthly gateway fee. It takes less than an hour to set up. Fastcharge.com was established in 2003, and serves more than 5200 shopping carts. It only offers credit card processing. Paynova is a Swedish payment processing service, offering e-retailers with 21 payment options. However, you’ll have to sign-up to access its services. It best suits the need of small-size online businesses. Last on our list is ChronoPay, an ideal payment gateway for merchants, accepting payments via bank cards (like VISA, American Express, JCB etc.). You can connect to ChronoPay for free, however you will have to pay a commission based on your monthly turnover. Don’t let payment gateways acts as a roadblock to setting up a successful online business, make sure to choose the suitable option for your online store. However, it’s too easy to become overwhelmed by the plethora of payment gateways online. Hopefully, reading this post will give you a good idea of 10 of the best payment gateways to choose from, for your e-store. Sophia Phillips's forte is WordPress and her work exists at the intersection of web development and technology blogging. Sophia is professionally associated with WordPress Theme Customization Companythat has been taking huge strides in the web domain consistently. Findout some of the best payment gateways available now like Klarna, PayPal, GoCardless, SagePay, Checkout by Amazon and Stripe. Information provided in this page is informative and useful.Secured credit or debit card payments will make customer’s more happy and also these online payment gateways help merchants expand their business by globally.It is an online payments scenario a Payment Gateway is the software that processes the transaction on behalf of the merchant.Found some of the best payment gateways to help your business. Thank you so much Sofia for giving complete information about payment gateway. It will be little bit more easier for us, if you give us the details about their set up fee, transaction fee, current market status etc. Good Choice, Keep it up. I am really looking forward to this article and I love to read BrainSINS blogs. Here I found all the best payment gateway for my website, But from the last many years I am dealing with PayPal, Credit card and American Express only. Thanks for the good compilation.. Very helpful. Now just a simple excel sheet would be the icing on the cake.. I have a Magento eCommerce website. Can you please tell me which payment method I will use at my website? What about WorldPay? It’s said that they’re the payment gateway for Etsy. Thanks for an informative post! I am partly using PayPal for collecting my payments. I just have a regular account for customers who wish to pay using PayPal.